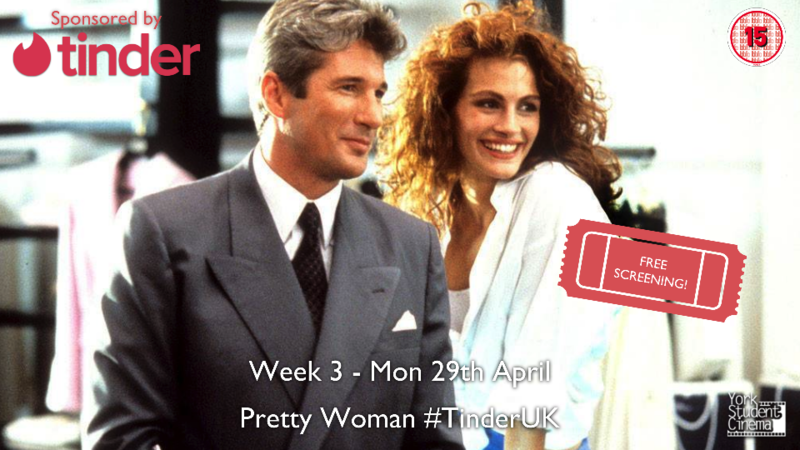 Come along to York Student Cinema’s screening of Pretty Woman, sponsored by Tinder!! Doors will open at 6:45pm and the film will start at 7:30pm. Tickets to this event are FREE for everyone! All you need to do is make sure you like and share this event, and show that you have done so at the door! There will be loads of goodies supplied by Tinder on the night too, so make sure you come down to P/X/001 for an evening of romance!